With bone marrow transplants we try to beat leukemia, lymphoma and other serious blood diseases by replacing unhealthy blood-forming cells in your bone marrow with healthy ones. Cord blood transplant is one of the newer options we have for these procedures. Cord blood is umbilical cord blood, taken from a baby’s umbilical cord and placenta after birth. It is not taken from an embryo. Parents can donate this blood to be used in case of a future family illness, or to donate to a public bank where it is frozen. Collection of cord blood is safe and painless. What’s great about cord blood is that it’s a rich source of healthy blood stem cells. Studies have shown that it doesn’t need to match a patient as closely as other donor sources (siblings and unrelated donors). Plus it’s available: There are nearly 600,000 total cord blood units stored in an international network of cord blood banks. It can be hard to find a bone marrow match from other sources. In 70 percent of transplant cases a suitable family member match can’t be found, and in 50 percent an unrelated donor match can’t either. Those are tough odds. Cord blood helps to fill in this gap — and patient outcomes are getting better and better when we use it. More than 20 percent of all transplants now use umbilical cord blood as the source of healthy donor cells. More than 40 percent of minority patients who got transplants used cord blood (patients from diverse racial or ethnic backgrounds may have a more difficult time finding suitable family and unrelated donor matches). Cord blood can be used if a transplant needs to be done quickly. Frozen cord blood units are stored in a public bank and are ready to use. The use of cord blood for transplant is an exciting development. Its growing role in helping to treat serious blood disorders is giving many more people much more hope. Learn more about umbilical cord blood preservation and stem cells for bone marrow transplant by registering for a free webchat with Matt Kalaycio, MD, on Wednesday, August 29, noon (ET). Dr. Kalaycio, MD, is the Director of the Bone Marrow Transplant Program at Taussig Cancer Institute at Cleveland Clinic. 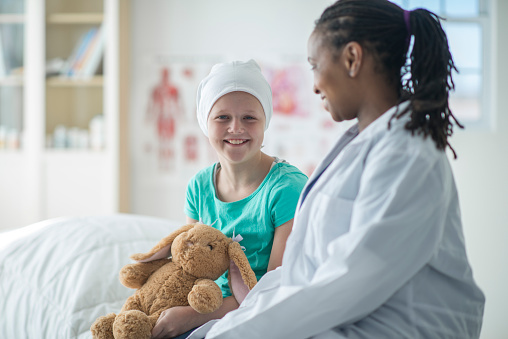 Is Your Child a Good Candidate for a Groundbreaking Leukemia Treatment?